The Manhattan Project began America’s race for nuclear weapons. Since then the number of nuclear warheads amassed has exploded and only in recent years began it dwindle. 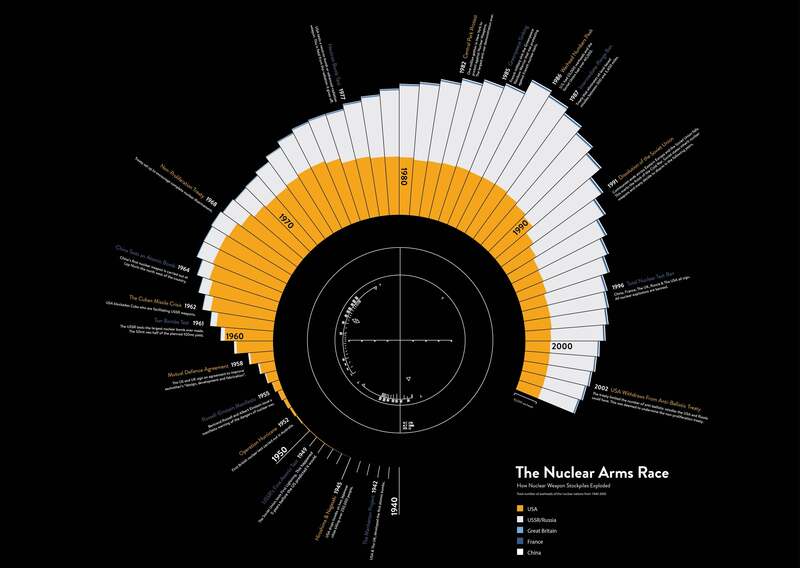 Below you can see an incredible visualization of the growth of these nukes through history. Note the boom in the 1960s! While the image doesn’t give a great breakdown of numbers, use this as reference: In 2009 the US had 4,000 nukes and Russia had 5,000. For a larger view you can click the link below the image. What do you make of this story? Share your thoughts in the comments below.